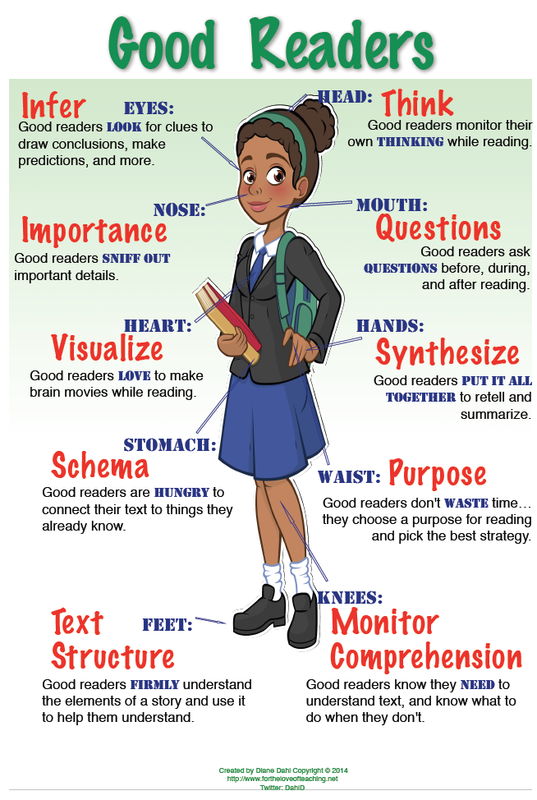 We all know that students who monitor their thinking while reading do better. Therefore it follows that students who monitor their thinking across ALL subject areas will do better in other subjects as well. The problem many students face is knowing how to transition those skills to other subjects. In fact, many don't even know they can! 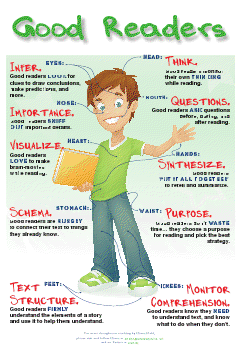 We have to explicitly teach kids to use thinking skills across all subjects. Kids need to know that there is a "language of learning." This is particularly powerful with students who are strugglers, or "our low babies" as we call them at my school. This language includes, but is not limited to: inferring, thinking, determining importance, predicting, questioning, visualizing, schema, purpose, structure, monitoring comprehension, etc. 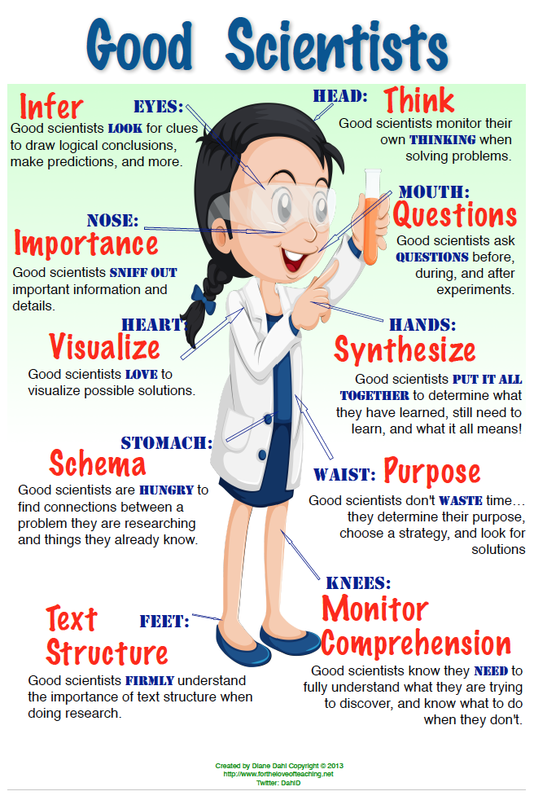 These skills help students dig deeper into metacognition and actively improve their learning. I won't cover the meanings of each of these as I have previously done so on the blog. The most important role you play after teaching the skills is to model their use. No matter what subject you are teaching, use the language of learning. Help students find connections (schema) to other content areas. 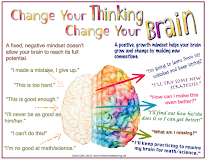 The brain looks for patterns, so encouraging schema helps students move new content into long term memory. Use questioning strategies to help students make inferences, predictions, and determine importance. Make sure you are using the terminology as you teach for the most powerful results. Won't This Take Too Much Time? Ah yes, the time issue. Believe me, I'm right there with you. No it doesn't take a lot of extra time at all. When you are planning, look for places you can utilize the skills in your lesson. However most of your opportunities will arise through active questioning and discussion during the lesson. That's the beauty of this, students will see the application of the skills in real time! 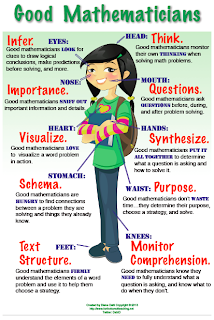 To give students a visual connection on bridging the skills from reading to math, I have created a companion poster to my Good Readers poster called the Good Mathematicians poster. This one takes the same skills from the reading poster, but targets them for math. Side by side, these will be a powerful reference for reinforcement! 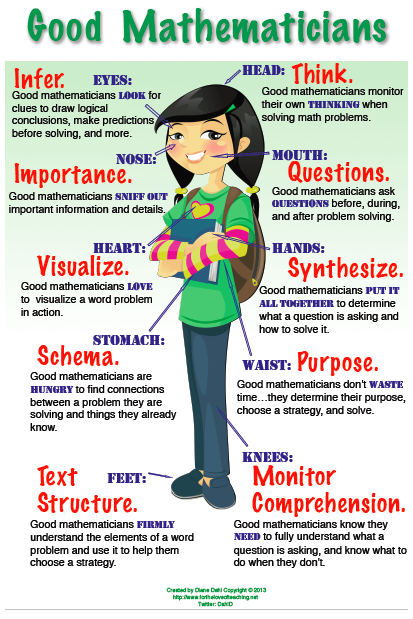 You can make your own posters (I used Swift Publisher 3 on my Mac), or you can download the posters at my TPT store here: Good Mathematicians Poster, Good Reader Poster. I have seen the profoundly positive impact of teaching students to THINK across the curriculum year after year. If you have not yet discovered this amazing tool, I encourage to you begin tomorrow! You will be thrilled with the results. My name is Jennifer Hamrick and I am a student at The University of South Alabama. I agree with you that students need to find connections to other content because the brain looks for patterns. The posters you created are a wonderful visual aid for students. I look forward to reading your future posts. I have really enjoyed reading your posts.I think the concept of monitoring students’ thinking across all subjects is brilliant. I think that incorporating the language of learning into everyday class room activity is wise because students can then take in more information than they realize. I think that encouraging teachers to use the “language of learning” is a good idea because it would really help students. I think that this would not take extra time as teachers themselves have practiced incorporating it into their own vocabulary. I also really enjoyed the visuals of your posters! I am supposed to summarize the blog posts that I have commented on for my EDM310 class. The link to the class blog is EDM 310 Blog. The link to my personal blog is Mallory’s EDM 310 blog. My name is Sabrina Stapleton and I am a student at The University of South Alabama in EDM 310. I was once and more than likely still am one of those students who have trouble bridging that gap. We are finding that my 7 year old little girl is also. 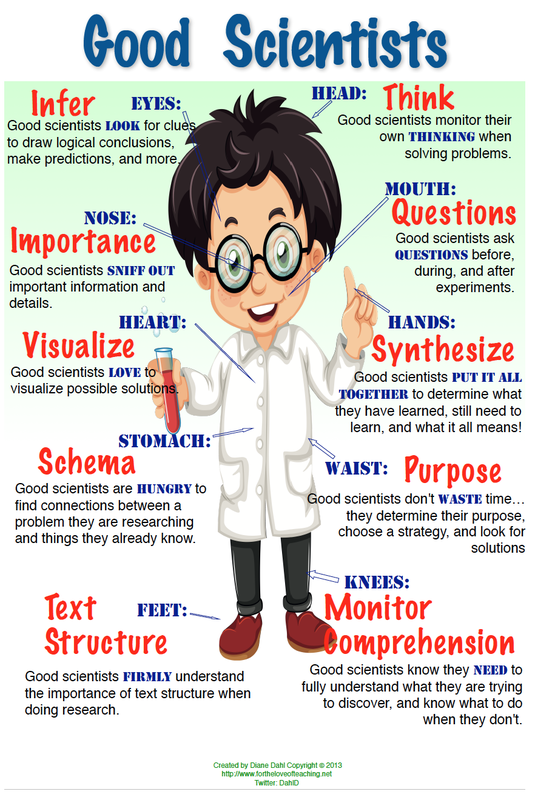 So I am in complete agreement about helping those students monitor their thinking and I am in love with the posters you have created! I will be saving your links to hopefully use them in my classroom one day. I am very excited about reading more into your blog and the insights you have. I will also be linking your blog into my class blog to show Dr. Strange. Have a great and blessed day!